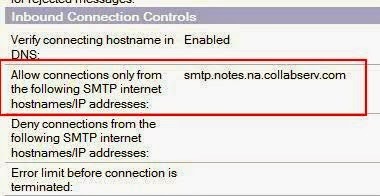 When you set-up IBM Smartcloud Hybrid config you will see the migrated users e-mail will be send directly from the service SMTP. Email Management here you can set the SMTP relay, and you can set 1 hostname or IP address. 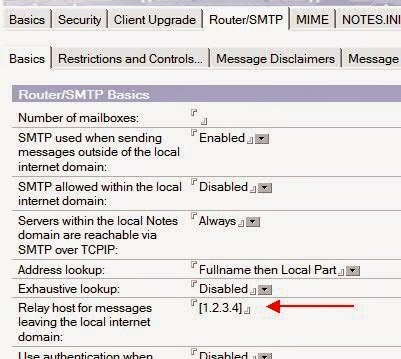 The Smtp from service support STARTLS so if your relay server can do same the e-email flow will be encrypted. I've asked to IBM support if was possible to set and authentication for SMTP relay and they have created this SPR #TPON9VBCRT for the enanchement request. If you haven't already an SMTP relay published you can use for example the Domino Passthru server set-up for the hybrid configuration. Now you are ready to open the TCP-IP port 25 from internet through the domino server and through the Passthru server to the internal mail server. I suggest also to set-up STARTLS as written in this technote so the service SMTP can use this protocol to secure the mail relay.